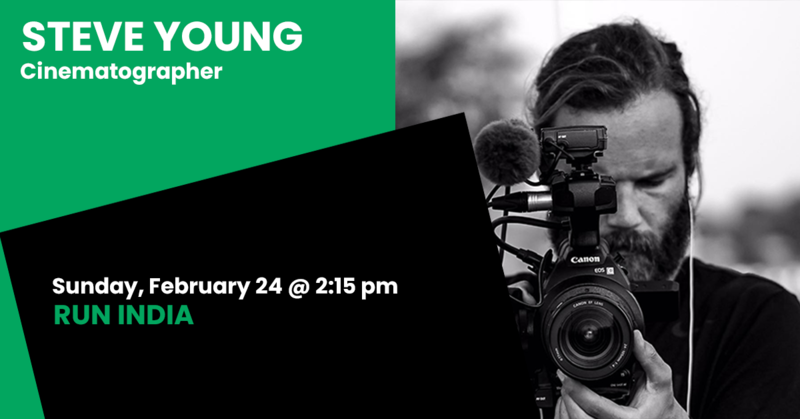 Steve Young is a self taught filmmaker from Melbourne, Australia. He has tirelessly developed his expertise from a fundamental belief that great stories have the power to heal, liberate, educate, and the power to entertain. This idea comes to life through a diverse body of work: from stories of triumph in cultures and communities across West Africa and South Africa, to inspirational no-holds-barred interviews exploring the lives of young Australians – showcasing stories and youthful perspectives so often untold, to deeply immersing audiences in Australia’s Great Barrier Reef in IMAX 3D with December Media. Steve illustrates that through film we can discover a connection to something more profound than our own perspective, and as such his work showcases the lifeblood of our shared human condition. Run India is Steve’s first feature documentary. It showcases his skills as a producer, director, cinematographer, and editor. For 77 days he lived with Samantha Gash in a campervan as she traversed on foot across India. Run India offers a taste of what is to come from this truly unique talent.